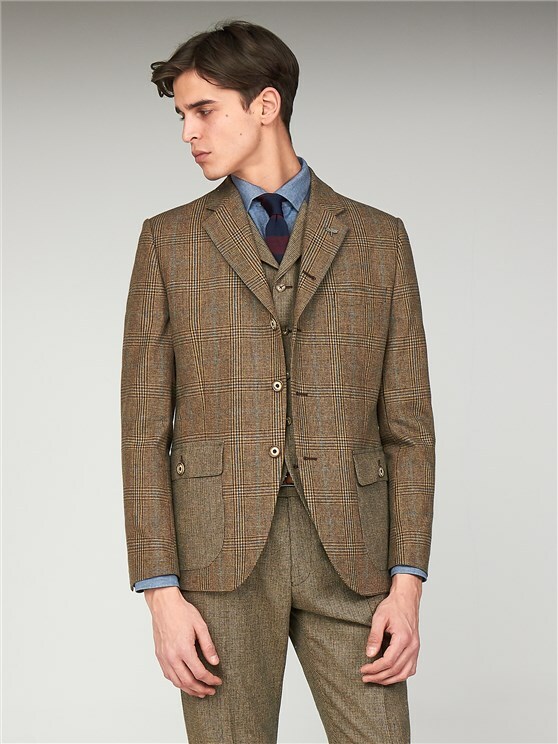 Best of British style with modern functionality. 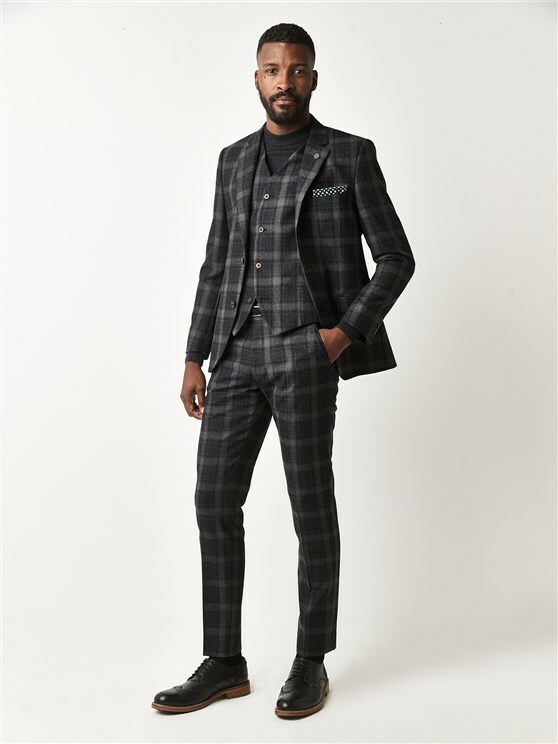 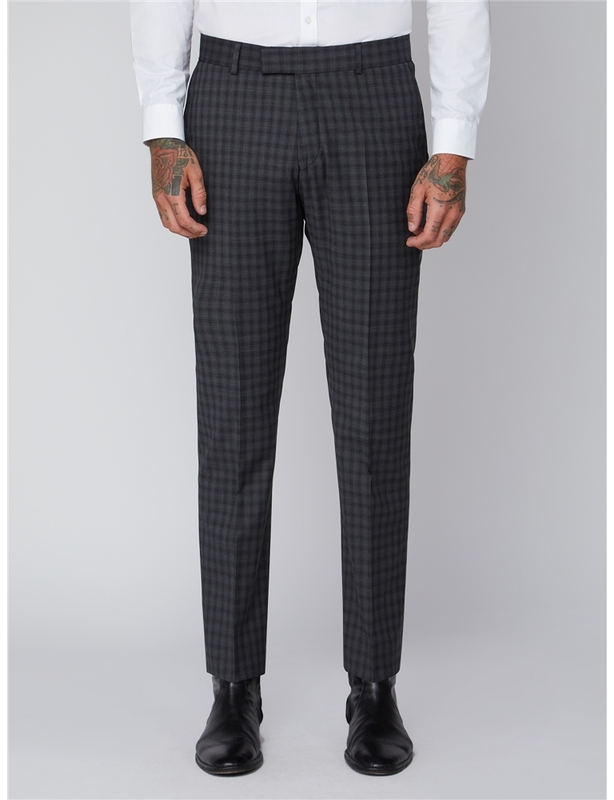 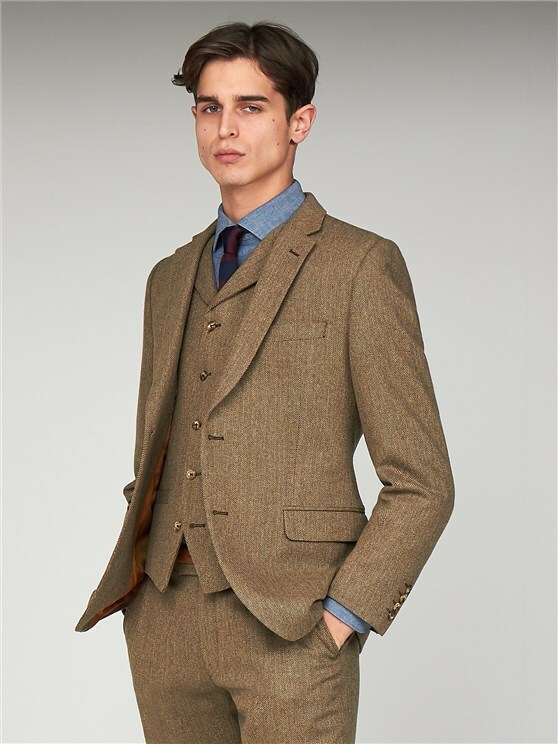 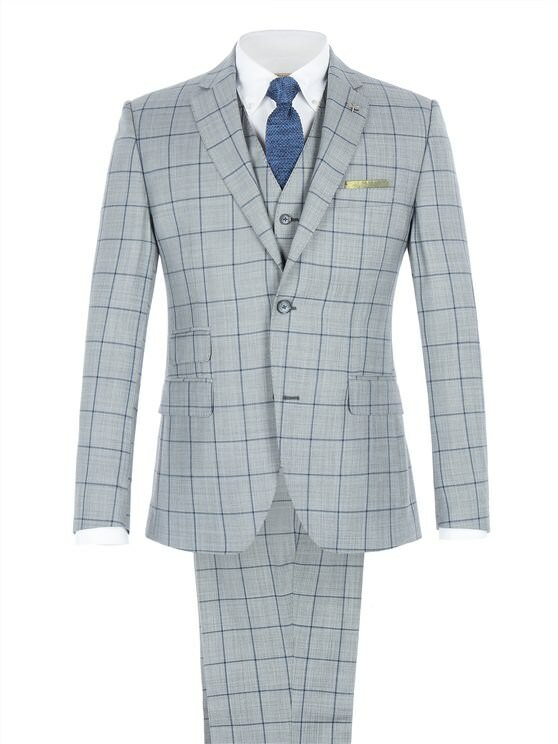 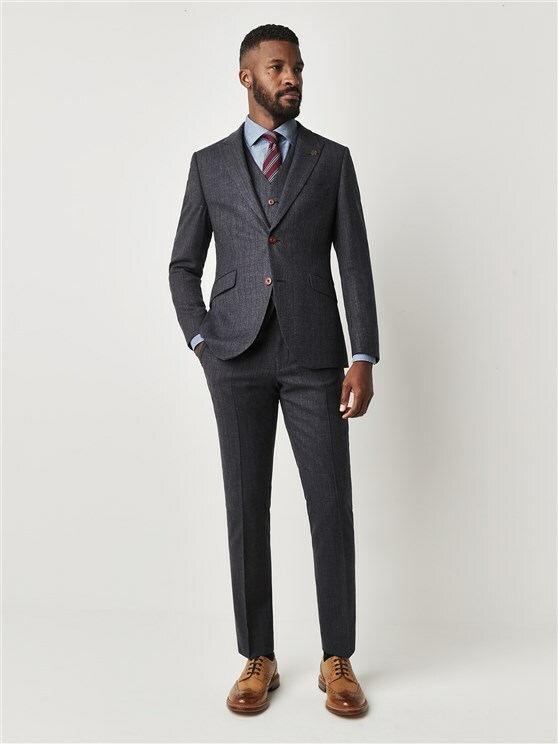 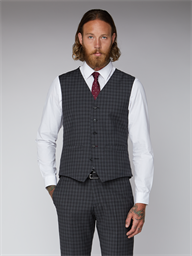 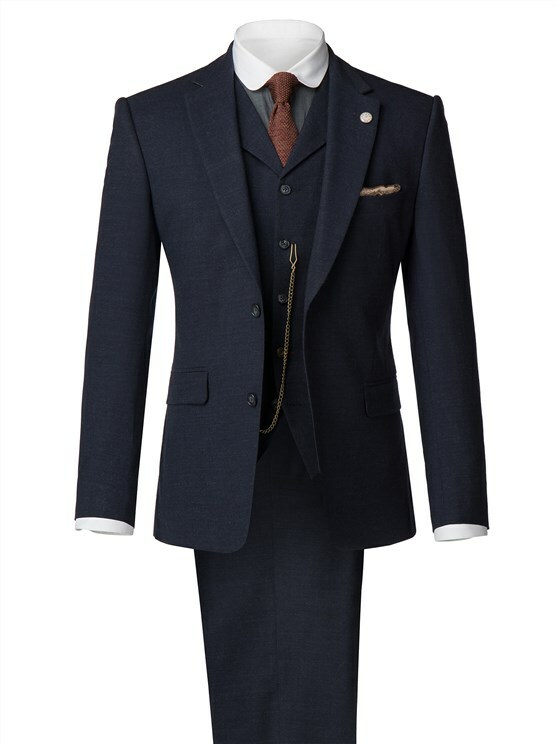 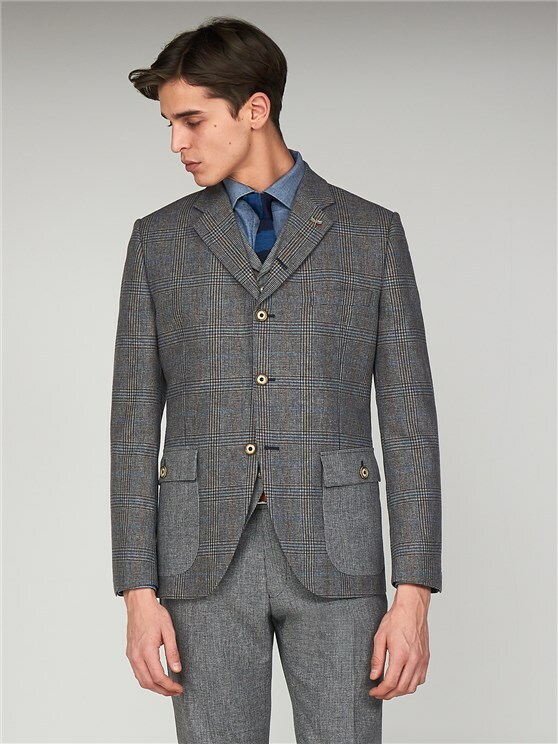 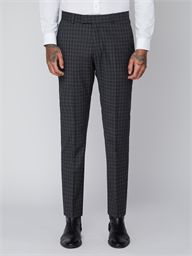 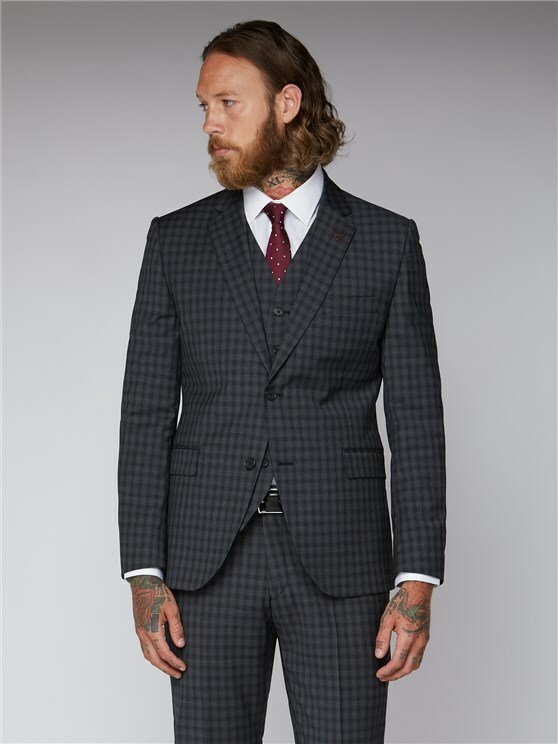 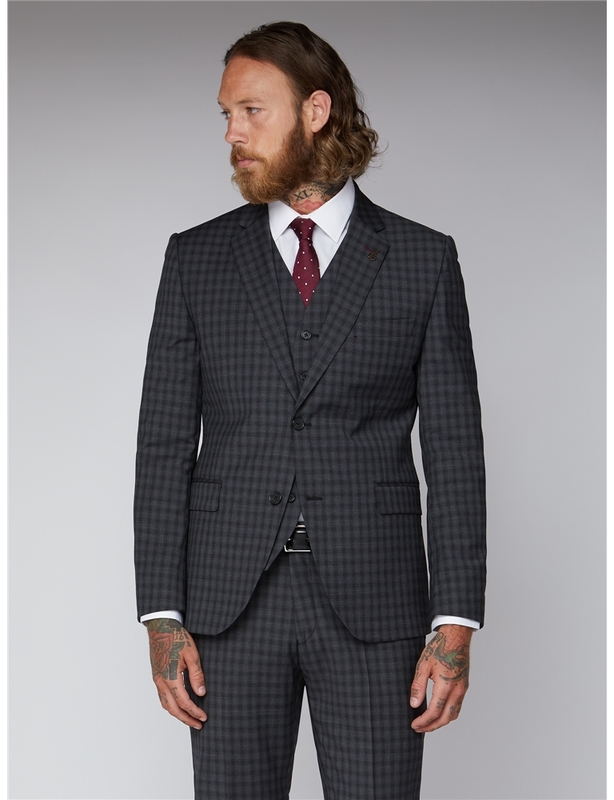 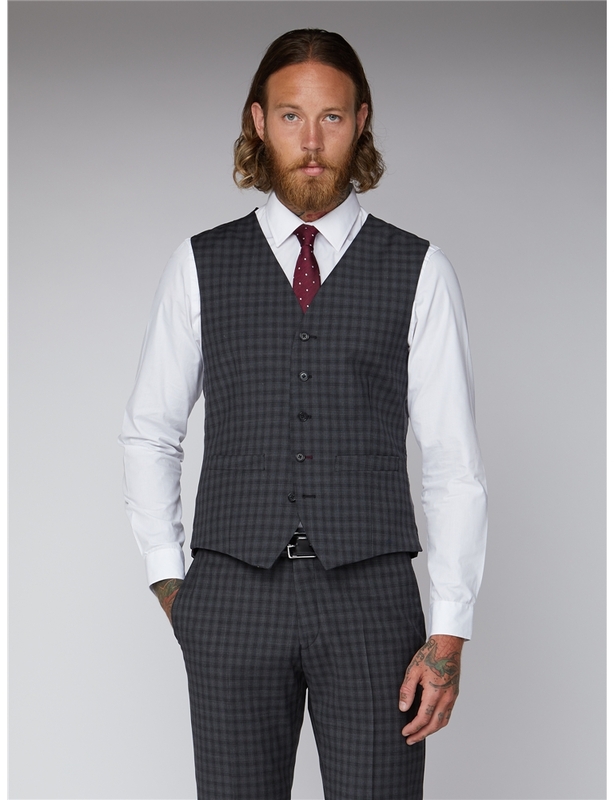 This men’s grey checked suit combines a classic colour scheme with a clean cut, miniature checked suit jacket, trousers and waistcoat featuring wool blend materials that are lightweight and stylish. 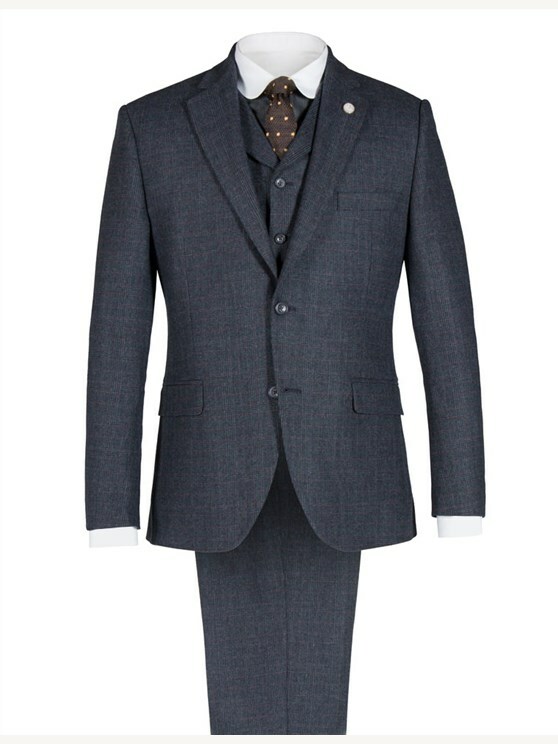 With generous pockets, a two button fastening, contrast threads and a comfortable tailor fit, this men’s grey gingham suit is ideal for him, with notch lapels and a matching suit waistcoat and trousers to truly complete a smart, sophisticated profile.